The Trembling Line is a film and multi-channel sound installation exploring the visual and acoustic echoes between decipherable musical gestures and abstract patterning, orchestral swells and extreme high-speed slow-motion close-ups of strings and percussion. It features a score by Leo Grant and a newly devised multichannel audio system by the Institute of Sound and Vibration Research, University of Southampton. 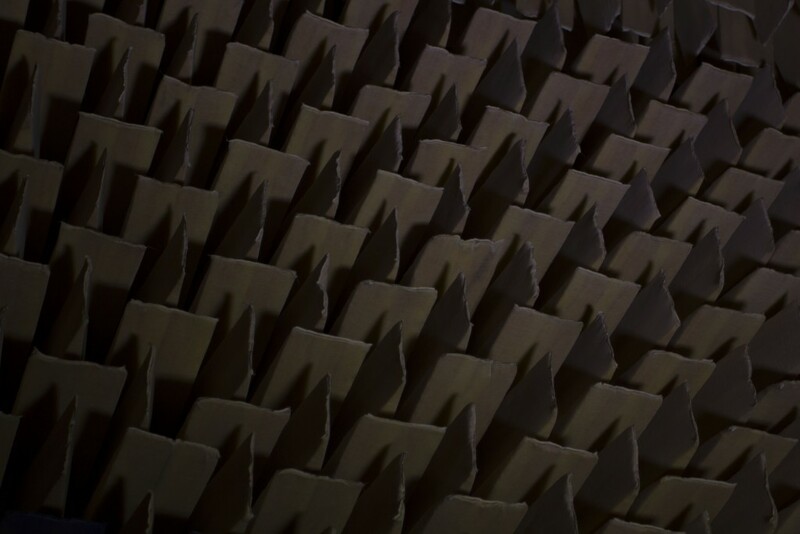 The multi-channel speaker array is devised as an intimate sound spatialisation system in which each element of sound can be pried apart and reconfigured, to create a dynamically disorienting sonic experience. 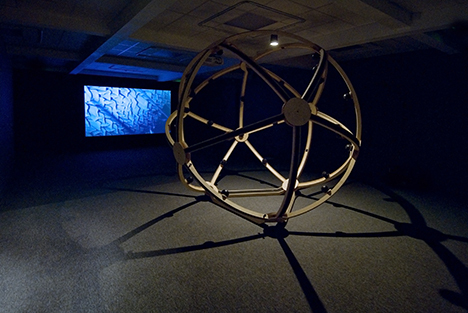 It becomes the inside of a musical instrument, an acoustic envelope or cage of sorts, through which viewers are invited to experience the film and generate cross-sensory connections and counterpoints between the sound and the visuals. 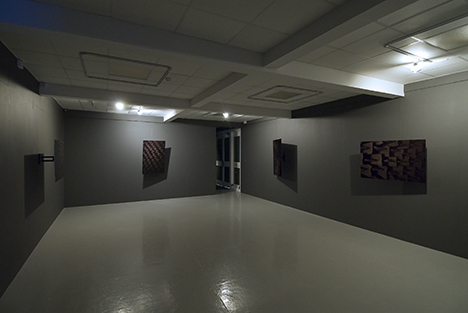 Funded by a Leverhulme Artist-in-Residence Award and John Hansard Gallery, with support from ISVR and the Music Department, University of Southampton. 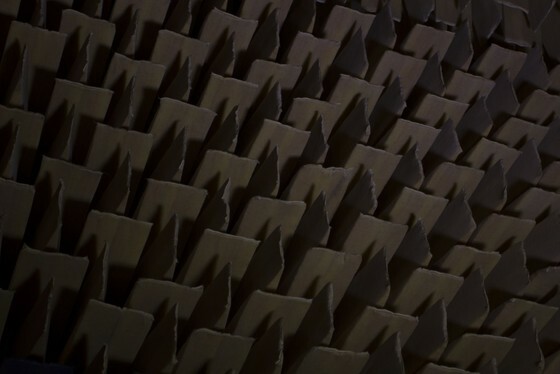 The project provided a rare opportunity to work creatively with new cutting edge developments in sound distribution devised by ISVR, devising a new speaker array, a multi- channel surround listening sphere which spatialises the auditory experience. The sphere is currently used by ISVR for outreach and teaching purposes, and has enables future collaborations between music staff and students at Southampton University and staff and ISVR. Exhibitions: Solo exhibition at John Hansard Gallery, Southampton (Dec 2015-Jan 2016), across 5 rooms, including a retrospective of five previous film-works and a new series of photographic stills. Public lectures: two within the gallery. Reviews and interviews: Art Monthly, Studio International, The Quietus, The Wire Magazine.